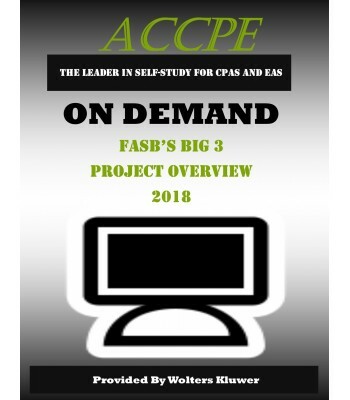 Learn about the new professional standards from the FASB known as the “Big 3 Project”. This project represents significant changes in authoritative professional standards concerning leases, financial instruments, and revenue recognition matters. In addition there are “changes to the changes” which are important. These areas and standards are explained, discussed, and illustrated for examples. 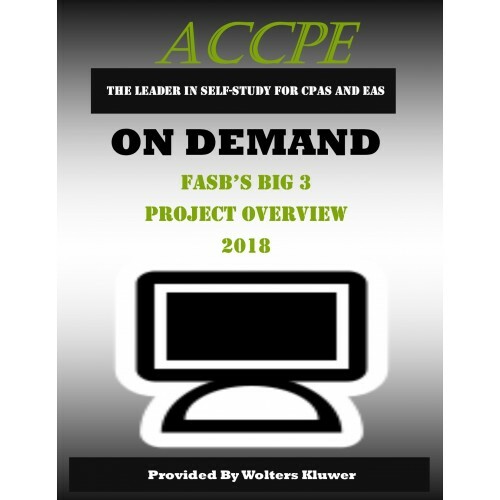 Professionals in public practice, industry, government, and education who deal with nonpublic entities and need a course on how to handle the major “FASB BIG 3” issues of leases, financial instruments, and revenue recognition. Recognize the major issues of the "Big Three Project"
Identify how to properly handle the reporting requirements of the Major components of the "Big Three"
Recognize how to properly record, report, and disclose the various issues in the "Big Three"